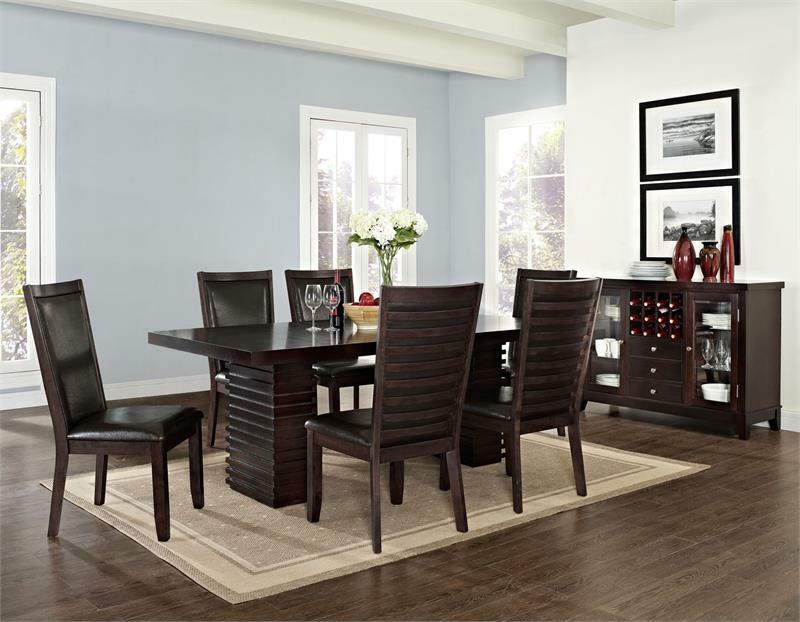 The Steve Silver Briana Dining Collection adds a bold modern look to any dining room with its architectural design and clean lines. 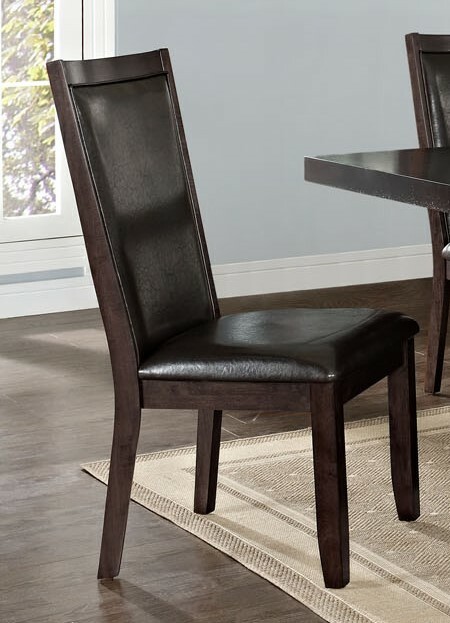 The hardwood solids with quarter cut ash veneers are hand-glazed in a multi-step espresso cherry finish. 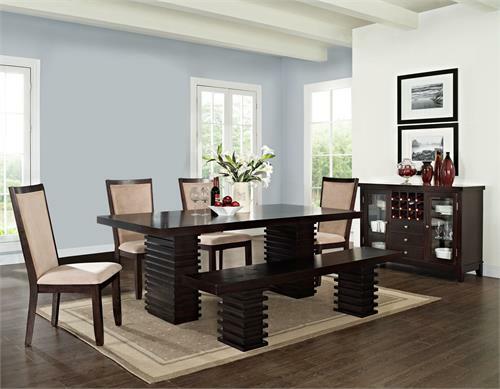 The impressive Briana dining table is created by combining the twin pedestal base with solid hardwood moldings and the table top with 18 leaf. 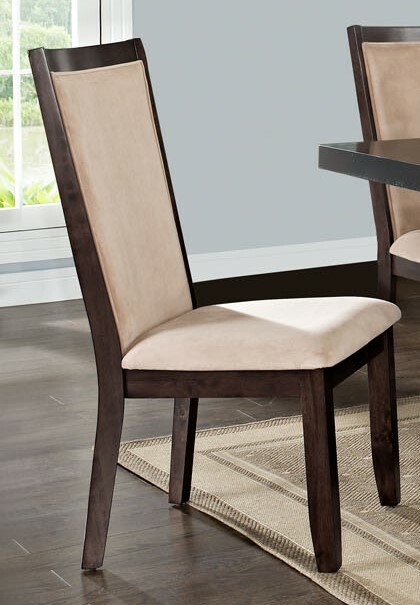 Table constructed of hardwood solids with quarter-cut ash veneers. 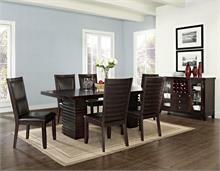 Features include twin pedestal base with solid hardwood moldings. Multi-step hand-applied glaze finish in dark brown cherry. Chairs feature hardwood frames with comfortable upholstered seats and backs. beige fabric or brown pull up. 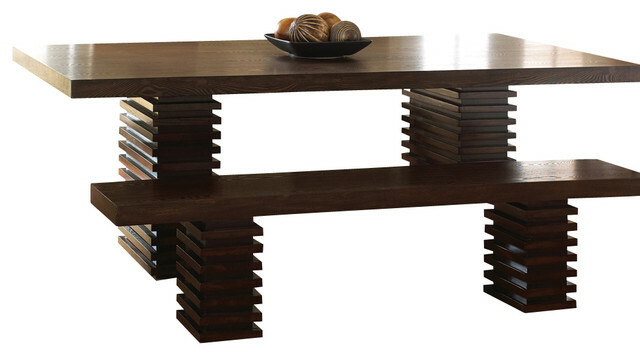 72” bench with twin pedestal base for extra seating.